Children at Capel-le-Ferne use the Internet on a regular basis as part of their learning. Ofsted say that pupils at Capel-le-Ferne Primary are "particularly well informed about e-safety and cyber bullying." In school, we have regular 'e-safety' activities to remind children of the importance of keeping themselves safe online. 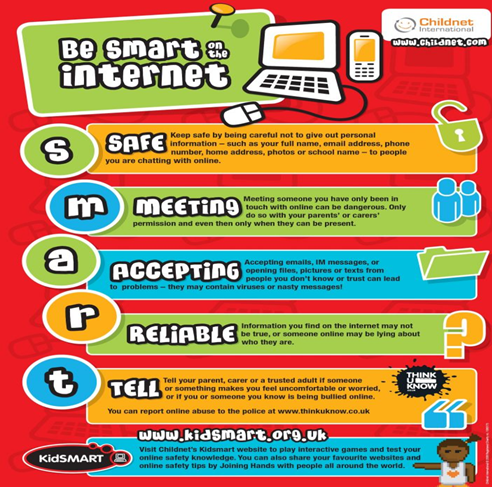 We have a set of SMART rules which the children are expected to follow in school and at home to ensure they stay safe online. These rules are displayed throughout the school and can be viewed below. 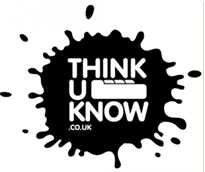 Below are some links to other e-safety resources, including games, quizzes and advice for parents/carers.